One of the reasons people love Pixar Animation Studios so much, why they have earned such passion over the last couple decades when making feature films, is that their skills in computer animation are unparalleled. Let it not be said that computer animation, by so frequently achieving photorealism, should be the only kind of animation represented in mainstream cinema. But a calling card for Pixar is that each of their films—even the less well-loved, such as Cars 2—are stunning to look at. When Toy Story was released in 1995, it was a technological touchstone in Western cinema, the 90s version of The Birth of a Nation or The Jazz Singer or, particularly, Snow White and the Seven Dwarfs. But it remains firmly rooted in a rose-colored view of the past, as do its sequels, as do many other Pixar films like WALL-E and Cars, stories that present us with animated versions of the real world or what a futuristic version of the same might look like, and find them wanting. It’s easy to watch Toy Story and see ourselves in Andy, and to imagine how we might have reacted when we were children, gripping onto our toys like lifelines. But John Lasseter and everyone else involved in the production have been clear about how Andy (and Sid) are representations of them as kids, the good and the bad of youth in two avatars. And even in the battle between Sheriff Woody and Buzz Lightyear for Andy’s affections, as well as the general control of his bedroom full of toys, we are watching a battle specific to the 1950s and 1960s. Those of us who walked into the theater in November of 1995 as kids likely did not have the exact same struggle Andy did, wondering whether we should play with our cowboy toys or our spaceman toys when we got home and ambled up to our bedrooms. Andy is not a child who grew up in the 1960s—at least, not based on any of the little details sprinkled throughout the trilogy—but in choosing between Woody and Buzz, he’s far more like the adults who created him than the target audience who gobbled up Pixar’s first film so voraciously. Think also of Cars, recently profiled here for its jaw-dropping, breathtaking animation. (The quality of the story is…well, another story.) This world is arguably Lasseter’s pet project, one of the few in modern popular culture that have been so wildly successful, and barely below the surface, it’s a film about wishing the future hadn’t happened. When Lightning McQueen finally slows down to appreciate the grandeur of the world he inhabits, he’s informed by his love interest that Radiator Springs’ best days may be in the past, because of the country-spanning freeway that was built near it so it would be ignored by passing vehicles. This is our reality. This is the future dreamt up by people before some of us were even born, and in Cars, it represents a terrible mistake, a harbinger of the soullessness of the modern age, even that era is populated by moving vehicles, not humans. Whether or not that sentiment is fully earned, the almost mournful quality of the James Taylor song accompanying the story through a montage of how Radiator Springs’ luster faded over time—placed strategically in Cars to replicate the Sarah MacLachlan song that broke so many people’s hearts in Toy Story 2—is deliberate and telling. Nostalgia is a tonic to the modern man, one which few can resist. In some ways, it’s baffling that a company associated with breaking new ground in cinema and art, a massive influence on the financial structure and creativity of movie studios and theme parks, looks backward while moving forward. But such is the case with Pixar, long before it became an official part of Disney, back when it was just an outside studio working under a distribution deal with a monolith. Granted, not all of Pixar’s films carry the shared weight of 21st-century nostalgia—whatever merits Cars 2 may or may not have, it isn’t a film that daydreams of the past, even if it has obvious ties to 60s- and 70s-era spy thrillers—but it is a common enough theme, especially with those films where humans have a dominant presence. The Incredibles, as another example, is, at face value, a propulsive and thrilling action film, a heady rush of old-school entertainment gussied up in a shiny new package. A layer deeper, and this is a movie about our culture’s insistence on awarding everyone for anything, allowing equality to trump quality. Go a little deeper, and you’ll see a story about two adults who have realized that they are over-the-hill, either embracing or attempting to deny the greatness that defined them when they were younger. Bob Parr wants very badly to be everyone’s favorite Mr. Incredible again, and his wife wants equally as much to pretend that chapter of their lives isn’t just closed, but was erased. These days, it has become very difficult for a new movie or TV show that so clearly, willingly is in debt to something from the past to step out from the shadows. 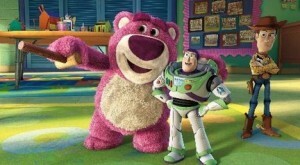 Where Pixar’s films have, so far, stepped correctly is by not letting the nostalgia drown out an original story. 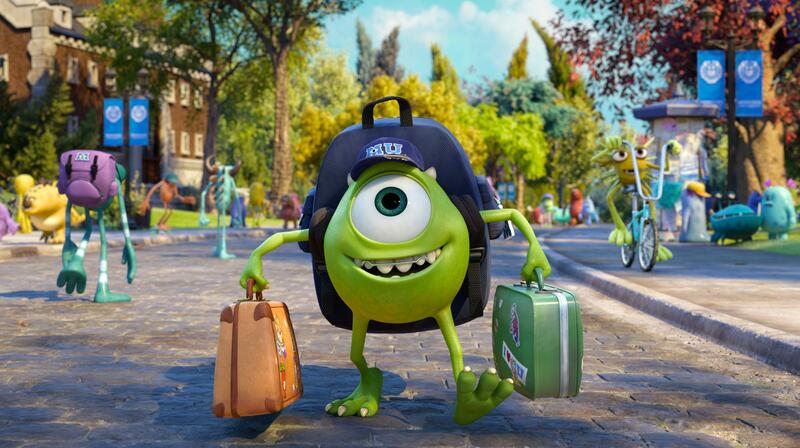 The jury’s still out on Monsters University, but the important thing for such trips down memory lane is that it has to be more than just a fond look back into a fantastical past. 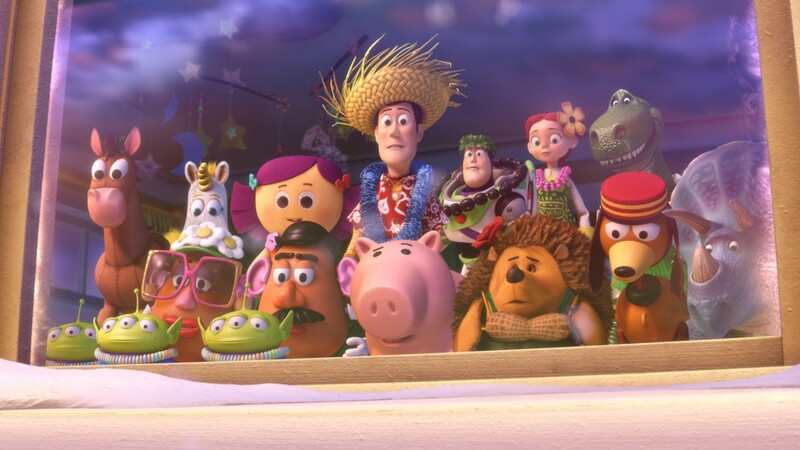 Toy Story is a great film not because it traffics in nostalgia, but because it uses technology to tell a story that feels new in spite of its familiar elements. We may snicker at the sheer number of old-school toys on display in Andy’s bedroom (or those that appear at the day care center in the third film), but those are just throwaway gags. The animators, taking their cue from something like The Simpsons, which packs as many gags as possible into minimal time, allow those mentions to feel special. Still, it’s not likely that a person’s favorite part of Toy Story is the bit where Rex freaks out because he’s run out of monkeys from their familiar red barrel to help search for a missing Buzz. Too much nostalgia is like eating too many Oreos at once: it starts out as a delectable treat, but eventually, you feel sick and hollow. (Mostly sick.) Looking back at the past—whether it’s a hazy recollection of something that actually is a touchstone of our childhood, or a fanciful view of what might have been had we been born in a different era—can be enjoyable, but only for a short time. Reflecting on the past gets dull after a while, because while we may hold it in regard, it’s just as exciting to consider the present or what may be yet to come. This is why Pixar’s films work so well, and why the handful of truly great Disney films that are heavily nostalgic are typically equally groundbreaking. (A fine example of the latter is Who Framed Roger Rabbit.) Pixar’s films have not yet overdosed too much on nostalgia, letting it float in the background as a subtler, embedded theme. Nostalgia is a tonic to some, but it can also be closer to a poison, arguably one of the most tempting in our society. The filmmakers and animators at Pixar are not blind to the charms of nostalgia, but have wisely backed away from making it their calling card. And even leaving aside the expertly colorful and pristine animation within each of Pixar’s films, their work is defined by three-dimensional characters, unexpected bursts of emotion, and highly memorable scenes and setpieces that succeed as well within the fabric of each film as they do by themselves. 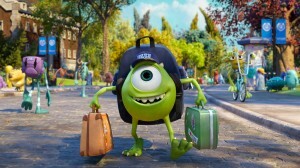 But a good number of Pixar’s films are dotted and lined with the filtered, twisted memories of youth. There may be no other studio or company in Hollywood that hasn’t lost sight of the collective childhood of its employees, while stepping forward from its tempting, warming shadow. We can only hope that the next few films Pixar makes, from Monsters University to Finding Dory to The Good Dinosaur, manage to maintain the balance of nostalgia and technological innovation.